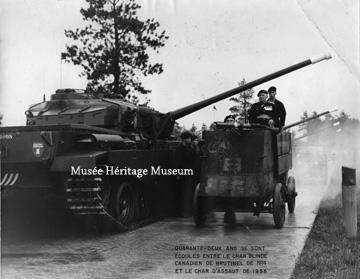 Pièce07 - Vehicles of the 1st Canadian Automobile Machine Gun Brigade moving to the Rockcliffe Ranges, Ottawa. 1 photograph : b&w ; 26 x 34.3 cm. Stored in Map cabinet 37-3, Drawer 3.